The patient will only register patients within its catchment area. 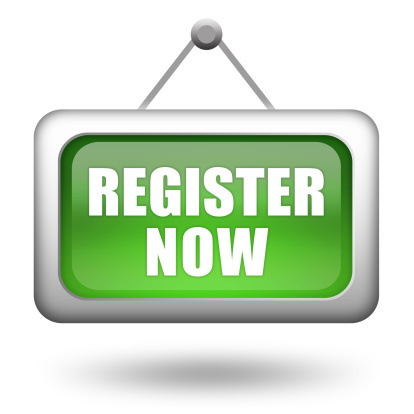 If you would like to register with our Practice you will need to fill in the necessary paperwork. You can either call in to the surgery and collect the necessary paperwork or download the registration form and bring it in to us. Proof of identity and address is also required. All new patients over 18 years of age will also need to have a blood pressure reading taken. This will assist the doctor by providing some background information should you become ill before your medical records have arrived at the practice. Please note that you will automatically be included in the Summary Care Record which allows other medical organisations to access basic details of your medication and allergies to assist in treating you in an emergency when the surgery is closed or you are away from home in the UK. If you do not wish this information to be available, please download and complete a Summary care Records Opt Out Form and bring this to the surgery with your other registration forms.We will need to see some photo identification and something with proof of your address such as a recent utility bill or tenancy agreement. We also ask that you bring a urine sample with you and use our waiting room blood pressure machine as part of our registration health screening procedure. Once this has been checked and all the necessary documentation and ID has been completed, we will be happy to register you. Your medical notes will automatically be requested from your previous surgery. This website for our practice replaced our old website on Thursday 27th April 2017. With our previous website, you could register for online services two ways. One was using Patient Access (web address below) and the other method was using the website itself. Unfortunately our new website only allows you to register using Patient Access. If you previously have registered for online services using the other method, you will not be able to use the online prescription ordering or book appointments. You will need to re-register using the Patient Access method ( web address below). Once we have then seen two types of ID ( one being a photograph and one showing your current address) we can activate you to use this service. We would like to apologise for any inconvenience. We, at the Parkside Practice (‘the Surgery’) situated at Eastleigh Health Centre Newtown Road Eastleigh, are a Data Controller of your information. This means we are responsible for collecting, storing and handling your personal and healthcare information when you register with us as a patient. Anyone you have given your consent to, to view or receive your record, or part of your record. Please note if you give another person or organisation consent to access your record we will need to contact you to verify your consent before we release that record. It is important that you are clear and understand how much and what aspects of, your record you give consent to be disclosed. TLC Ltd is a federation of nine local practices (Parkside Practice, Park & St Francis Surgery, Fryern Surgery, North Baddesley and Knightwood Surgeries, Archers Practice, St Andrews Surgery, Boyatt Wood Surgery, Alma Road and Abbey well Surgery) who are working together to share resources, skills & experience to provide cost-effect, patient-centred healthcare for all patient in the Eastleigh, Chandlers Ford and Romsey area. http://www.parksidepractice.co.uk/page1.aspx?p=4&t=5 or a copy may be provided on request. Did you know that every patient has a named GP? For vulnerable patients who would benefit from continuity of care, this is the GP with whom they would book routine appointments. To find out who your named GP is, please ask reception.